Do you take interior decoration seriously? It is often easy for many of us to overlook interior décor until we get visitors and realize there is a problem in the house. You must get your custom built home’s interior décor right and certainly review it often. The review is intended to update your sense of style and change in character. You can never go wrong with Spanish marble inside your luxury home. This natural stone’s use is widespread in interior decoration. It is used on both floors and walls and countertops in bathrooms. With the elegant look of the stone it is no wonder that the stone is also commonly used in a wide range of artistic elements including sculptures. A good example of what Spanish marble can help you achieve as a piece of décor inside your custom built luxury home is in the simple Spanish marble floor design. This particular piece is fit for royalty. It is entirely sculptured from Spanish marble in its natural wine white. 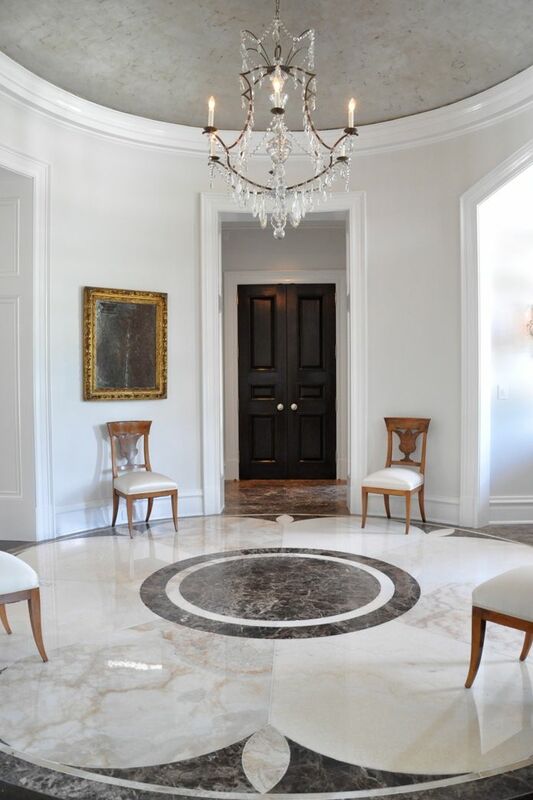 The marble presented in this floor design is one of the most exclusive Spanish marbles. The stone is filled with character. This particular marble floor design portrays refinement in artwork. All the work on the stone is skillfully done by hand with high powered water jet machines deployed for precise cuts. This one of those works of art that is suited for an official themed décor scheme. The wine white colored marble floor design under certain lighting conditions will look slightly yellow in color or exhibit pale yellow-green hues. As the floor design ages the changes in color under different lighting conditions become more noticeable giving your home a whole new character. You can have it installed in any room to get a room for perfect relaxation. This Spanish marble floor design adds elegance even in the living room. The design is distinctive in its own special way; it leaves your rooms functional and beautiful. This gorgeous floor design will leave you feeling as though you were really in Spain. The floor design gives you one of the easiest ways to tackle interior decoration. The color of the floor design ensures there is harmony between the floor design and the rest of the items that are in the room including existing décor. You can get this floor design in any custom size that you want for your luxury home. For more information or advice on Spanish marble floor designs, please feel free to call us on 1-888-272-0630. Posted 4 years, 6 months ago at 8:03 am.